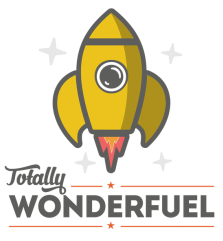 Totally Wonderfuel is transforming the world of mobile catering by providing honestly healthy and delicious food at events across Dorset and the surrounding counties. Our vision is to become the natural choice for event organisers and participants wanting to go the extra mile. Our distinctive menu is aimed at athletes of all ages and abilities so ideally suited to literally any sporting occasion you can think of. But our healthy snacks and barista coffee are likely to appeal to anyone with tastebuds and our little silver bullet is equally at home at festivals and shows, charity, corporate and community events. We have a lovely shiny retro silver trailer that's as irresistible as our food. It's pretty dinky too, so we can squeeze in anywhere though we're likely to draw a crowd so best placed in the thick of it. We serve a fabulous array of energy balls, healthy cookies, sweet and savoury flapjacks and other wholesome tray bakes as well as overnight oats, hot soup and sourdough, superfood smoothies, protein shakes and real, barista coffee at affordable prices. There might even be cake. What's not to like. We've got something for everyone before, during and after the event- kids, octogenarians, vegetarians, and people with special dietary requirements. Oh. And we might even have something for dogs. We trade locally, so you'll be supporting a local business, local producers, and attracting local customers (as well as people from out of town. Also a good thing). We use high quality, local ingredients (where humanly possible) from sustainable sources, hand-crafted into wonderfuel with a six-pack of TLC. We care for Mother Earth as much as we care for our own mum and are committed to doing our bit to save the planet. All our packaging is either recyclable or biodegradable and we are always seeking other opportunities to minimize our impact on the environment. We are members of the Nationwide Caterers Association (NCASS) and operate the NCASS Due Diligence System for mobile caterers. ​We are proud to say we have achieved the top rating in the Food Hygiene Rating Scheme.